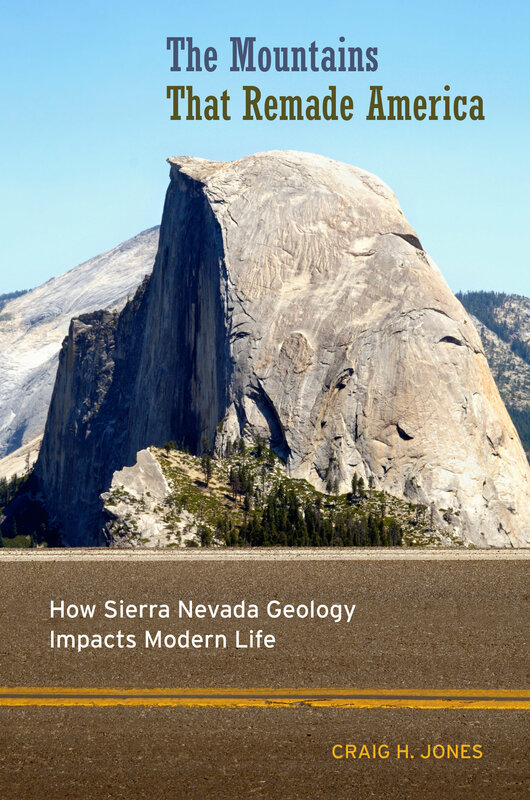 From ski towns to national parks, fresh fruit to environmental lawsuits, the Sierra Nevada has changed the way Americans live. Whether and where there was gold to be mined redefined land, mineral, and water laws. Where rain falls (and where it doesn’t) determines whose fruit grows on trees and whose appears on slot machines. All this emerges from the geology of the range and how it changed history, and in so doing, changed the country. The Mountains That Remade America combines geology with history to show how the particular forces and conditions that created the Sierra Nevada have effected broad outcomes and influenced daily life in the United States in the past and how they continue to do so today. Drawing connections between events in historical geology and contemporary society, Craig H. Jones makes geological science accessible and shows the vast impact this mountain range has had on the American West. What does it mean when Yosemite burns? Craig H. Jones is Professor of Geological Sciences and Fellow with the Cooperative Institute for Research in Environmental Sciences at the University of Colorado, Boulder. He has published peer-reviewed research in Science, Nature, and prominent earth-science journals, and he is also the coauthor of Introduction to Applied Geophysics. He blogs as the Grumpy Geophysicist.